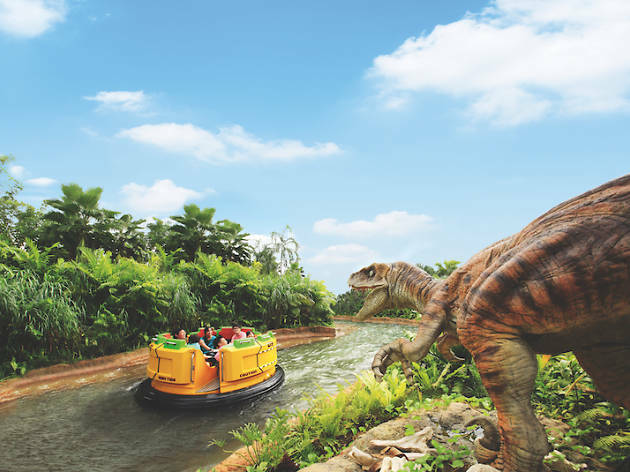 From June 2 to August 22, immerse yourself in Jurassic World: Explore & Roar at Universal Studios Singapore. Embark on a prehistoric adventure where dinosaurs roam the earth and plunge into prehysteria when Velociraptors, Pteranodons and the mighty T-Rex escape containment and wreak havoc in an all-new live action show. You can also interact with incredibly realistic animated dinosaurs on the big screen with cutting-edge augmented reality. Marvel up-close at a baby dinosaur as it hatches out of its egg in an incubator or join an all-new raptor training programme to learn the necessary handling skills to work with these prehistoric predators. Guests are in for a good time as dinosaurs take over the streets of Hollywood and New York, perfect for creating those epic Instagram moments. 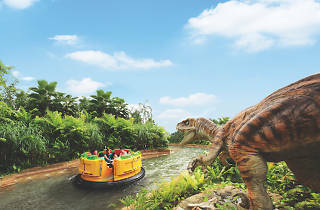 In addition, guests can continue to enjoy the adrenaline-filled rides and world-class attractions at the theme park such as Jurassic Park Rapids Adventure, Canopy Flyer, Dino-Soarin’ and more. $68 for a one-day ticket. Enjoy 10% off Jurassic World merchandise. Valid for Singapore residents only.